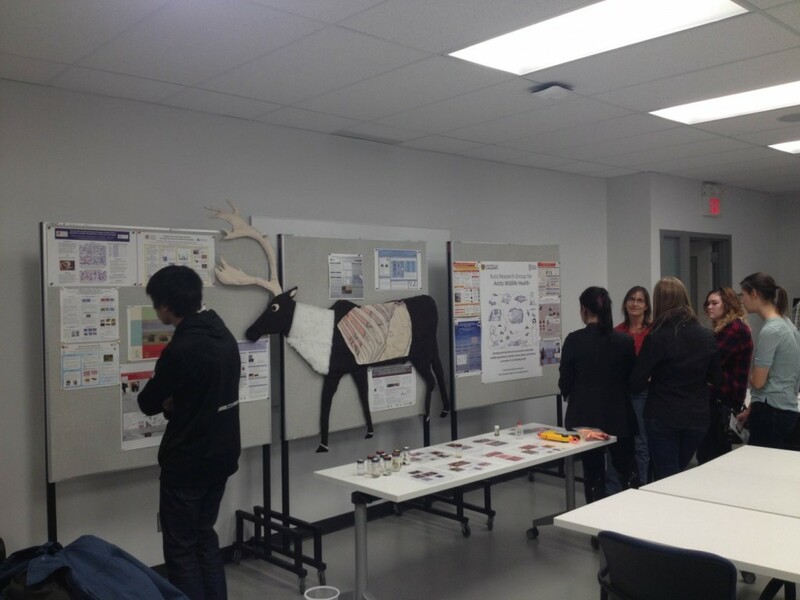 On November 17th, 2015, the “NSERC – Collaborative Research and Training Experience (CREATE) Host-Parasite Interactions (HPI) Training Program” held an open house in Biological Sciences at the University of Calgary. The open house was aimed at exposing undergraduate students to the fascinating world of Host-Parasite Interactions. 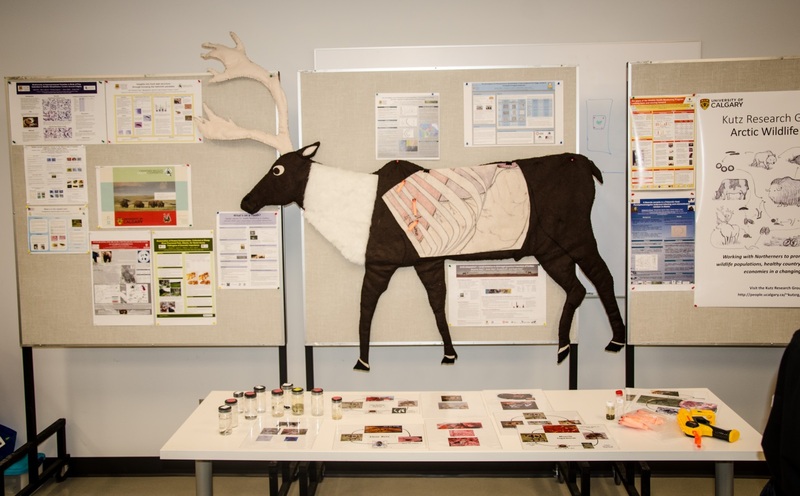 Susan Kutz, an HPI member and the Regional Director of CWHC-Alberta had a booth set up for the event that highlighted her group’s research on Arctic wildlife health. She drew attention to how her research is helping Northerners to promote sustainable wildlife populations and healthy country foods in the context of climate change. In particular, she discussed the recent range expansion of muskox and caribou lungworms in the Arctic and factors that may be influencing population declines of muskoxen and caribou. CWHC-Alberta, represented by Mani Lejeune, educated the audience about the CWHC and the role it plays in Canadian wildlife health both regionally and nationally. Mani showcased, in particular, the parasitic disease surveillance program carried out by the Alberta node in Western Canada. Overall, the event was well received and generated much interest among prospective students with regards to wildlife issues in Canada.